I have a special affinity for France, you could even consider me a Francophile. There are a lot of reasons for this, including living there for a bit of time, but most of it highly personal. On the other hand, I also have a special affinity for debunking nonsense from the antivaccination cult. I don’t debunk it all, because there are so many good writers out their that have fun mocking, debunking, and criticizing the vaccine deniers. However, if someone combines France and vaccinations – well, I’m just going to have to focus on it. Especially, when the information is so patently wrong and unsupported by real evidence. I ran across an article in another science denying website (which uses as its source an article in another vaccine denying website). I don’t troll or check out these websites, but this article got shared a lot across social media, so I needed to see what it was all about. Apparently, Rivasi’s claims are based on a 2013 article published in the journal Eurosurveillance, a moderately high impact factor epidemiology journal. She did accurately relay the numbers from the report, so I guess I’m wrong, and France hates vaccines. Or maybe not. Per the antivaccine’s typical standard operating procedure, the facts are being cherry-picked. Let’s go read the actual article. [infobox icon=”quote-left”]In 2010, we observed a dramatic shift in the French population’s attitudes towards vaccination in general: unfavourable attitudes have become far more frequent, and the corresponding sociodemographic profile has also changed. Such attitudes and sociodemographic profile should be closely monitored in the future, as this shift may either persist or vanish. In other words, this poll was taken right after the 2009 H1N1 pandemic, where there were some issues with the vaccine in Europe, and some concerns that the H1N1 virus wasn’t all that dangerous (which it was). But more than that, relying upon polling data may not represent actual real-life experience. According the World Health Organization (WHO), 2014 vaccine uptake in France is one of the highest in the world. In fact, for diphtheria, pertussis (whooping cough), tetanus, HiB and polio, the vaccine uptake rate for children exceeds 98%. France must be one of the best vaccinated countries on the planet. Maybe the temporal relationship of attitudes to the H1N1 vaccine influenced the data in 2010. Because subsequent data seems to be out of sync with the “beliefs” of population. More recent data on HPV vaccination attitudes in Europe seems to present data that also contradicts Minister Rivasi’s claims. It appears that over 82% of French parents are in favor of the HPV vaccinations for their sons. HPV vaccines are probably one of the most controversial vaccines in France, yet it’s considered important by a large majority of the population (although uptake of the vaccine remains low, because of a multitude of reasons). Ironically, in an analysis of a localized measles outbreak in France, nearly 74% of those infected by the virus were not vaccinated. And of those infected, 29% of the parents were anti-vaccine. But more than anything, science isn’t based on a democracy. French citizens probably did get upset with the hype surrounding the H1N1 vaccine, but that doesn’t mean that the pandemic didn’t happen. It did, and it killed a lot of people across the world. 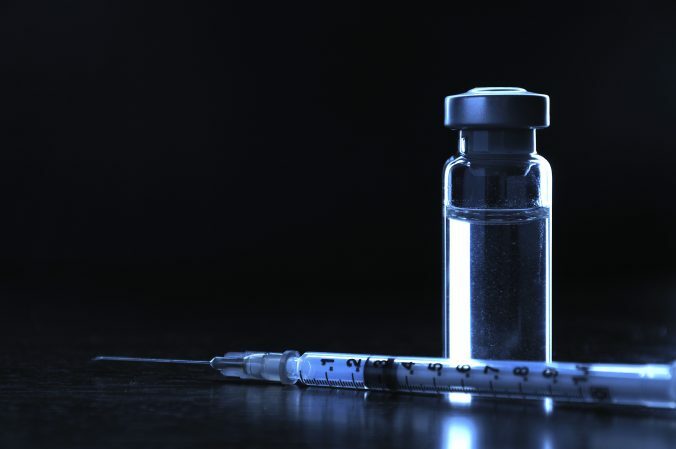 The European version of the vaccine might have a problem with one adjuvant, but science identifies these issues, and determines a new path. The facts are that vaccines do save the lives of children, so if that has to be explained better, that’s why I and a lot of people work hard to put out the message. But Sarah’s article, in one of those classic logical fallacies, tries to apply the misinformation and cherry picking about France to the vaccines in general. Sarah, the so-called healthy home economist (the Dunning Kruger runs deep), claims that 13% of pediatricians do not follow the CDC recommendations for vaccinations. Her statement is based on an article published in the Open Journal of Pediatrics. What is the Open Journal of Pediatrics? Well it’s published by an open source predatory publisher called Scientific Research Publishing. Their journals have an aggregate impact factor of 0.27, and the article referenced by Sarah isn’t even indexed in PubMed, which has a pretty open policy of indexing journal articles. Apparently, Sarah had to cherry pick from arguably one of the lamest journals in the world. But it’s worse. The data published was based on a mailed survey to pediatricians, one of the worst methods for polling ever. It’s inherently biased, because generally the more passionate group will respond. It’s not that pro-vaccine doctors are less passionate, but this kind of survey would be laughable. And there’s a lack of control over who actually filled out the survey, or the validity of the “beliefs” of the surveyed physicians. I could go on and on. They used a random sampling of the mailing list of pediatricians, but that itself could be biased. They may have accidentally picked up a sampling that included many more anti-vaccine physicians than a well-designed study. No wonder they didn’t publish the data in a real journal–peer reviewers would have laughed loudly. Sarah babbles on about the relationship between rotavirus vaccine and a condition called intussusception, where the child’s intestine kind of folds in on itself. Intussusception can be a dangerous condition, but the vaccine may have increased the risk of intussusception by around 1 per 100,000 vaccine recipients. Moreover, intussusception is a major risk factor from a rotavirus infection, which used to kill a few dozen children in the USA every year. It killed over 250,000 children worldwide. We understand it. And it’s extraordinarily rare. And there’s no evidence that any children have died from the vaccine. But she thinks so. Sarah also whines about how the pro-science world treated Katie Couric, a fairly popular USA-based journalist with her own eponymous TV talk show, Katie, who did a report about Gardasil (formally known as the HPV quadrivalent vaccine and also called Silgard in Europe). It was filled with false balance, using anecdotes as if they were real evidence for causality between the vaccine and whatever. Couric should have been, and was, harshly criticized for poor journalism and incredibly bad research. Sarah is nothing more than a vaccine denier who makes up data, or uses some of the worst data ever, to support her beliefs. Why do these lying liars who lie get to continue to harm children by making claims not backed by evidence? Well, the best I can do is respond. France still loves their vaccines. Vive le France. Lee Mortensen G, Adam M, Idtaleb L. Parental attitudes towards male human papillomavirus vaccination: a pan-European cross-sectional survey. BMC Public Health. 2015 Jul 8;15:624. doi: 10.1186/s12889-015-1863-6. PubMed PMID: 26152138; PubMed Central PMCID: PMC4495645. Peretti-Watel P, Verger P, Raude J, Constant A, Gautier A, Jestin C, Beck F. Dramatic change in public attitudes towards vaccination during the 2009 influenza A(H1N1) pandemic in France. Euro Surveill. 2013 Oct 31;18(44). pii: 20623. PubMed PMID: 24176658. Toure A, Saadatian-Elahi M, Floret D, Lina B, Casalegno JS, Vanhems P. Knowledge and risk perception of measles and factors associated with vaccination decisions in subjects consulting university affiliated public hospitals in Lyon, France, after measles infection. Hum Vaccin Immunother. 2014;10(6):1755-61. doi: 10.4161/hv.28486. Epub 2014 Mar 17. PubMed PMID: 24637343. Walter D, Bohmer M, Reiter S, Krause G, Wichmann O. Risk perception and information-seeking behaviour during the 2009/10 influenza A(H1N1)pdm09 pandemic in Germany. Euro Surveill. 2012 Mar 29;17(13). pii: 20131. PubMed PMID: 22490383.